DirecTV will expand its video-on-demand library by adding more movies and TV shows, that according to The Hollywood Reporter. The satellite company will also pursue more streaming content, especially live events such as sports and music. However, DirecTV’s CFO says that new movies are the core focus now rather than older catalog titles. DirecTV has been launching its DirecTV Cinema product which offers over 400 new movies (day-and-date with DVD release) in 1080p HD with Dolby Digital Surround Sound. 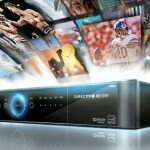 About 6,000 more movies and TV shows are available from DirecTV Cinema at no extra charge. Current movies on DirecTV Cinema include Jackass 3, Morning Glory, and Burlesque. New movies generally cost $5.99 for hi-def (HD), and $4.99 for standard-definition (SD). Next Next post: Facebook the new streaming service?